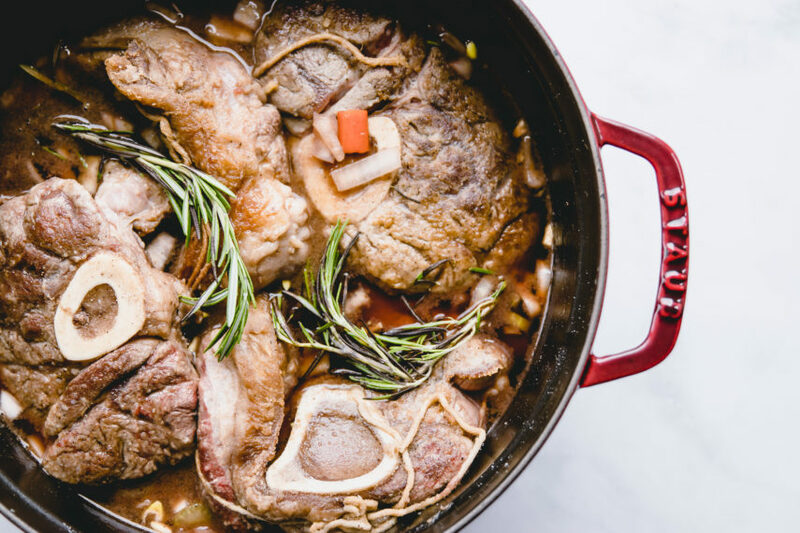 When I think of Beef Shank Osso Bucco, I think of home. 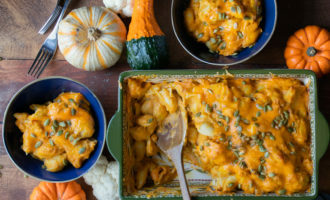 This dish just simply gives you the feeling of warmth and coziness, and takes me back to my childhood. Often my Mom would roast beef with potatoes & carrots and it would have the house smelling so amazing when I came home from school. It would taste just as good as it smelled, and the meat would always be so tender. That’s the same feeling that Osso Bucco gives. 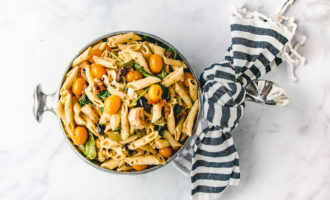 While the name alone sounds kind of intimidating, I’m here to show you that it’s an easy and satisfying dish to make. To kick off Black History Month, I’ve joined a group of talented black chefs, food bloggers, and food enthusiasts in the 2019 Virtual Pot Luck. 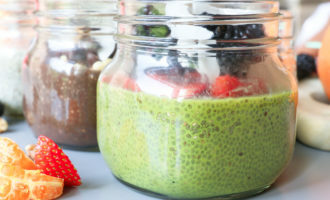 We were all challenged to share some of our favorite recipes that we’d love for you to try! 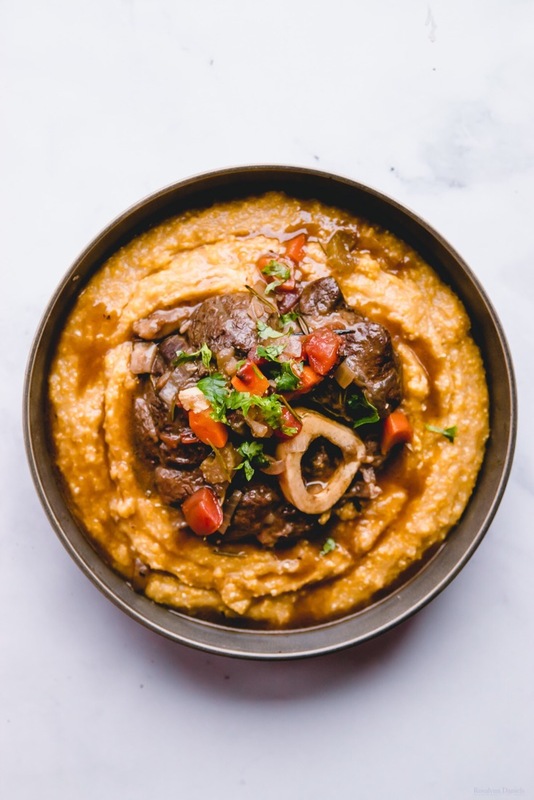 I included this Beef Shank recipe because it’s a comforting, show stopping dish that is beyond easy to make if you prepare it with love. For me, that is the feeling I get when I think about my ancestors and elders. 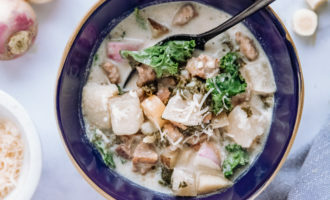 I did not grow up on traditional “soul food”, so I wanted to offer you a recipe that wasn’t traditional, yet it still warms your soul. For a list of recipes for the other participants, please keep reading to the end. 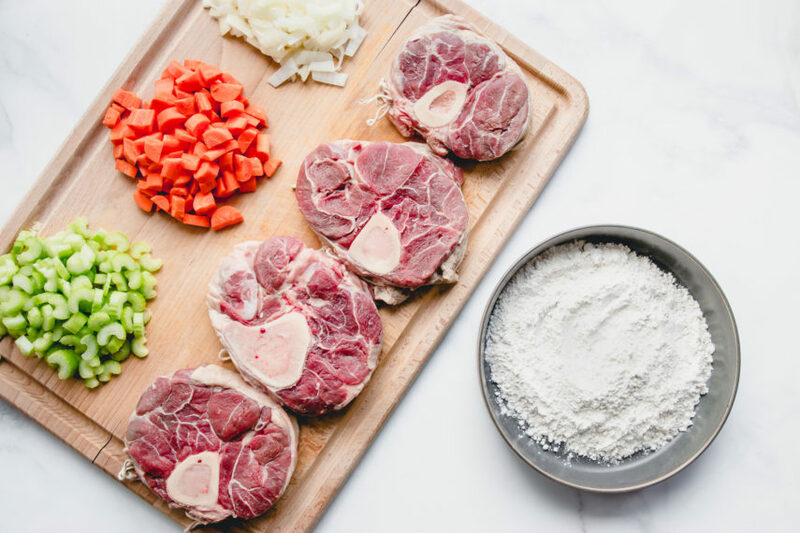 First, you need to know that Osso Bucco translates to “bone with a hole” in Italian. Essentially it’s referring to the bone marrow of the shank when you cut it. The bone marrow is the signature part of this dish. Some people enjoy to eat it, and some just like to admire its beauty. 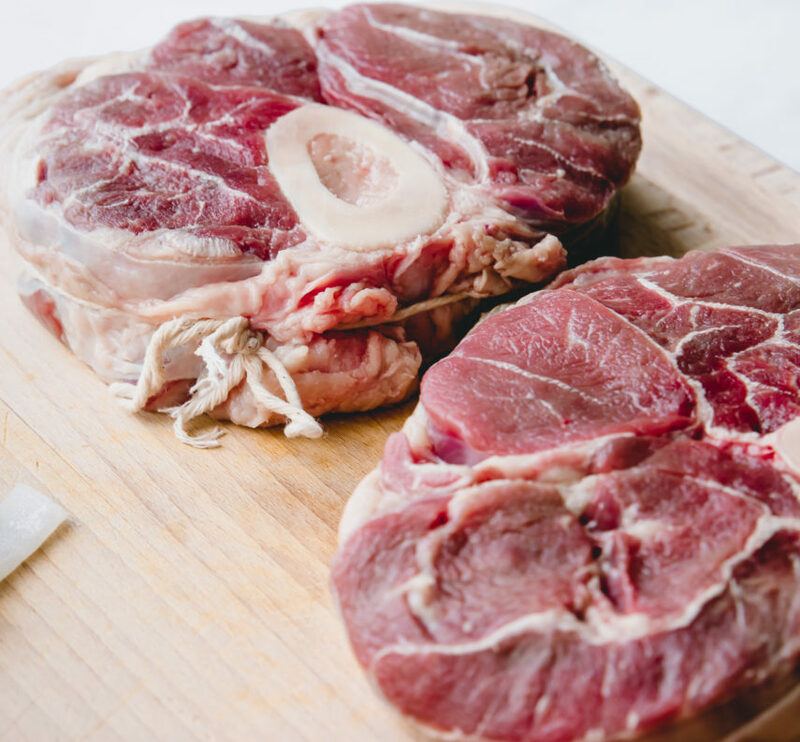 Also, it’s good to know that traditionally Osso Bucco is made with veal. So, make sure you keep this in mind when ordering this dish at a restaurant. I prefer to eat mine with Beef Shank. 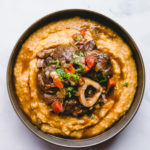 The beef shanks that I purchased for this dish are from my local grocery store. Typically, they will be sliced at 2 to 2.5 inches thick. If you would like a grander cut with a longer bone, then you can make a special order at your local butcher. It may take a few days to come in, so keep this in mind if you’d like to make this dish for Easter or another holiday. If possible, ask your butcher to tie the sliced shank with butcher’s twine. If that option is not available, then tie each slice yourself. You can do it! Just make sure the twine is tied firmly around the circumference of each shank. 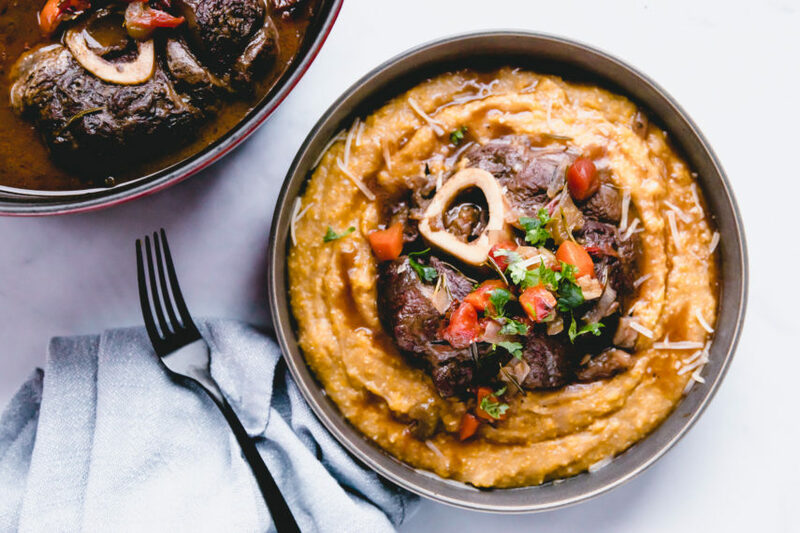 I enjoy pairing my Beef Shank Osso Bucco with parmesan creamy polenta or good ol’ mashed potatoes. I’ve always had it paired with a starch, but I’ve heard of people placing the meat over a bed of roasted vegetables. If you enjoyed this recipe, then I have a feeling you may enjoy one of the recipes from the list below.